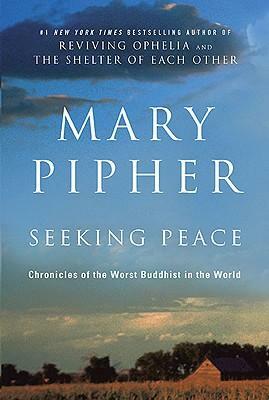 Like most lives, Mary Pipher’s is filled with glory and tragedy, chaos and clarity, love and abandonment. She spent her childhood in small Midwestern towns, the nurturing daughter of a doctor mother and a restless, jack-of-all-trades father. Later, as a wife, mother, and therapist, she was able to do what she most enjoyed: learn about the world and help others. But after the surprising success of Reviving Ophelia, she found herself overwhelmed by the demands on her time and attention. In 2002, Pipher experienced a meltdown. She realized that success and fame were harming her, and she began the long journey to a quieter, more meditative life that would carry her toward self-acceptance and joy. In Seeking Peace, Pipher tells her own remarkable story, and in the process reveals fundamental truths about our individual search for happiness and love. Candid, surprising and moving, Seeking Peace offers a map for our own journey toward a more fulfilling, more joyously lived life.